Just the mention of the word ‘marketing’ might make you shudder. Perhaps not, but if that is you then I have some advice. While the concept of marketing is an important one, the word has a nasty connotation. You might think of corporate meeting rooms where men in suits talk about the best ways to manipulate the public into buying whatever crap they are selling. I understand. I think that too. But marketing your own work does not have to be a dirty subject. You create something wonderful, amazing and unique. You have something to offer the world. Something that people will enjoy and be pleased to purchase. Think of something you enjoy, whether it is a song, a book or a painting. 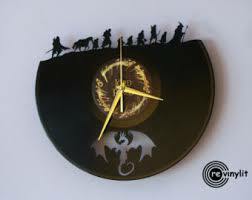 I have this amazing clock that I just love. I am so happy that the person who made it thought of the idea and put it out in the world for sale! So, my first piece of advice is to do the work to shift your thinking about marketing. Think of marketing your work as offering something amazing to the world. Doesn’t that feel better? Next week we will discuss strategies for approaching potential marketplaces.